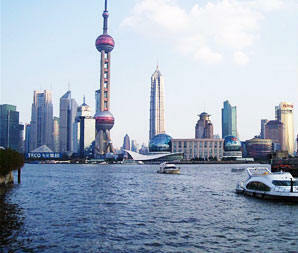 Hong Kong is located on the southeast coast of China at the mouth of the Pear River. This Chinese administered territory which faces the South China Sea is made up of Hong Kong Island, the Kowloon Peninsula and the New Territories which border the mainland. 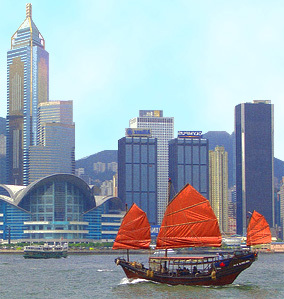 Hong Kong is a pulsating city which is today considered to be a major financial capital of the world was colonized by the British in 1842 after the First Opium War with China. Actually the territory of Hong Kong which was then made up of a few fishing villages was ceded to the British under the Treaty of Nanking which was signed to end the war. The British who then controlled Hong Kong for over a century helped to transform it from a sleepy fishing village into a major center of world trade and manufacturing with the help of cheap labor that was sourced from the mainland. Over the years as the Chinese mainland opened up to foreign trade and investment in the late 1970s, Hong Kong also began to function as an important gateway to the region and bankers, lawyers and other professionals flocked to the city which also became an important hub for the regional headquarters of many multinational companies. Hong Kong returned to Chinese rule on the 1st of July 1997 and today functions as a Special Administrative Region of the People’s Republic of China. This unique arrangement allows the city’s vibrant capitalist, laissez faire economy to thrive as it continues to enjoy a high degree of autonomy and freedoms.